Dry bulk tanker yanker with CCC Transportation. Thanks, hope it has been help. Congrats on getting your CDL. All the trucks that I have seen are automatic transmissions. My terminal in Newberry are all day cabs so I can't tell you anything about the sleeper cabs as far as APU's and all. Only regional drivers get the sleeper cabs and the vast majority of our trucks are Mack's. As far as the company goes, I haven't had any issues with them. All of their recruitment ads that I have seen say they know their driver's by name. That may be true for your terminal, but I seriously doubt they would know me from Adam's housecat if I went down to the corporate office. 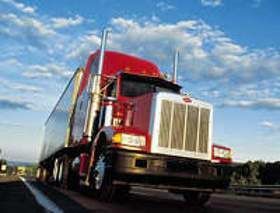 As a daily driver I average 55-65 hours a week and get paid percentage of the load, 21% starting. Good luck out there and stay safe! I've been enjoying this thread very much. Just got my CDL today and am set up to head to Savannah soon for training. I've been reading about the automatic transmissions; is this true for the entire fleet or just select trucks? Also, give me some feedback regarding your overall experience so far with CCC. There is a not whole lot of information about this company on the Internet, no reviews, no videos, etc. which makes me leery about signing on with them. Can you give me more specifics, e.g., types of trucks, APU's on board, SiriusXM, TV's, etc? Hello Diver, I just got out of CDL school and start with Comcar next Tuesday. I'll be a part of the CT flatbed division. Was the DOT drug test urinalysis only or also hair follicle? I'll be 100% honest with you and I hope you don't pass judgement, but I quit smoking marijuana 2 months ago and have no desires of going back as I'm trying to make a positive change but I know the hair tests go back 3 months. The recruiter said they don't hair test but I would figure that a current employee would have more accurate information. Hope to hear back from you, thanks. Welcome to Comcar Max. When I went to orientation in Auburndale for CCC this past May, it was urinalysis only. And you're welcome. Good luck! Sure thing Chris. Been solo for about 4 months now. Out 11-13 hours a day Mon-Fri doing 2 runs a day for the most part. Usually leave out between 3 and 5 in the morning most days. Mostly driving Florida with occasional runs in to Georgia. Not getting rich, but making okay money. Some days are better than others. All in all, I'm pretty happy with CCC. Thanks Col. O. I don't know much about MCT either other than I think they have some driving out of Jax and their trucks can do 65 mph. I'm stuck at 62 mph and all that I have seen are all auto, haven't seen any sticks. Things are going well for me there. You make a valid point Pat M. It could have been worse. Errol V., I don't know what the odds are, but I dang sure wouldn't have taken a bet like that because they have to be pretty high! I knew from reading a lot of the posts on here that this is an industry fraught with trials and tribulations. You deal with them and move on or you get the heck out of it. I'm no quitter! This past Friday was my first day solo as a truck driver and IT SUCKED!!! It started out with a few minor issues with the tanker that they assigned me. No big deal, worked through them and good to go. Drove to Jacksonville to deliver a load of cement. Got there no problem, backed in to the spot just like I knew what I was doing. Got everything hooked up and started pumping it off. First hopper no problem, second hopper too. 3/4's of the way through the final hopper and feeling pretty good when all of a sudden there is a hellacious racket from my PTO blower. I immediately shut it down and oil is all over the place along with a huge puddle on the ground. I have no way to finish unloading since my PTO basically blew up. CCC has a terminal in Jax so I contact them. They said they'll send a wrecker down with a truck and tow mine in to their shop. Hour and a half later I have a different truck. I uncoupled mine and coupled the other one up to my tanker. Wrecker leaves with my truck. I go to start the PTO blower and to my dismay, it doesn't work! I call Jax back and they tell me that they have a driver bringing a truck from Orlando to them, but they'll divert him to me since I'm right off I-95 on his way up. They tell me to just swap trucks with him. So I go to uncouple this truck from the tanker. Landing gear down, lines unhooked and pin pulled for the second time. Now their truck won't go in to gear (automatic)! Transmission service light flashing when I put it in gear, but it won't move. I'm more than a little perturbed at this point. They tell me to shut it down for 15 minutes and it should reset. So I do and guess what? You got it! Still the same thing. In the meantime they other driver shows up. While Jax is trying to figure out what to do next, I have him pull his truck next to mine and I hook my tanker hose to his PTO blower and get the rest of my cement unloaded. My PTO went out at 8:05 and it's after 12:00 now, but I got my load delivered! Jax decides to send a wrecker back out to get the truck and tanker and tow them in and for me to just ride in to their terminal with the other driver. We get there and they are replacing the PTO on my truck. Seems that a bearing went bad. They'll have it done by the time the wrecker gets back with their truck and my tanker. It's after 3:00 by the time I leave Jax and head back. I call my dispatch and they tell me to get on back, but make sure I preload my tanker before I come to the terminal. Not gonna say what was going through my mind to say, but I just said okay. Made it back to the terminal, turned in all my paperwork and bout to head to the house. My dispatcher catches me outside and asks if I preloaded my tanker and I said yes, Well, this other driver wasn't able to get back in time to get his done and he was supposed to take a load to Tallahassee the next day (Saturday) by 8:00. He asked me if I wanted to take the load. I gave him a look and he quickly said that I didn't have to do it, but if I didn't, I'd need to drop my tanker so the other driver could take it. I was NOT dropping another dang time that day so I told him I'd take it. I left out Saturday morning at 5:00, got to Tallahassee, pumped off my tank no problems and drove back to the terminal. I was sweating bullets the whole time that something else bad was going to happen. Sure wish my first day had gone that smooth. If the trucking god's were wanting to see if I had what it took, I think I showed them I did by taking that load the next day after the day from hell I had when I didn't have to. I know things aren't always going to go smooth in this industry, but I sure wouldn't have minded having a day like this later down the road rather than on my first day solo! I survived, nobody died and I'm trucking on! I start school at Mid Florida Tech on the 29th. CT is on my list of companies to apply to. Released from training this afternoon! I am now a solo dry bulk tanker yanker! And welcome to Trucking Truth btw! It's a very informative and useful site. Glad you found it useful David M. I just finished my first week with my trainer. He was all set to sign off on me as a solo driver today, but since I came on right out of a school we were told that Safety would not go along with just one week of training. No biggie though, it just gives me more time to get comfortable with unloading the dry bulk and get to learn more about places we deliver. I haven't been to the port in Tampa yet with a delivery, but I will be going there next week with my trainer. He had told me about it, but I wasn't looking forward to trying to go in there on my own without having been there at least once before. So now I won't have that worry hanging over my head. Are you looking at going in to the dry bulk or van? They also do a little flatbed too. Training pay is $9.50 an hour btw. I'm pretty happy with them so far. Good luck and let me know if you have any other questions. JC, training for the dry bulk is anywhere from 1 to 3 weeks and then you're out on your on. Figuring out which valves to open and when and how to adjust the flow so you don't clog up is the biggest thing to learn besides the paperwork. I've been using a CPAP machine for close to 5 years now. The only trouble I've had stemming from apnea has been with my DOT physical. The first one I did I wasn't aware I needed the compliance report. No big deal, got the report and got my card, easy peasy. That was for my school. The company I went with out of school had me do another physical for them. No problem, I made sure to have a current compliance report before I went to orientation. But they not only wanted the compliance report, but also a statement from my Dr saying that my apnea was under control with the use of the CPAP which I didn't have. The compliance report does show if your apnea is under control, but they want the statement too. So I recommend to anyone with apnea using a CPAP make sure you take your compliance report and get a statement from your sleep Dr prior to your physical. Driving the automatic was a little different. My left leg kept wanting to come up. It doesn't get going quite as quickly as I was used to with shifting on my own, but for slowing down and not having to worry about downshifting it was pretty nice. The only reason I switched from the regional to the local was because by the time I finished school they didn't have any regional spots open so I took the local to get started. They did say if a regional opened up I would be able to switch over to it. As far as I know they have local available in Georgia too especially if you are doing dry bulk. As far as the percentage pay goes I can't really say how it compares to cpm. I just know if you aren't loaded you aren't making any money. So the pay will depend on how many loads you get to run a day. They told me that I can get cross trained for flatbed so if there aren't enough loads of one I can do the other. No problem with the questions, that's how you learn stuff. And this site has a wealth of information. Anything else, just let me know! They also do tuition reimbursement at $150 a month. Congratulations I hope everything goes good for you. I am just about to start training at my local technically college, and I have been looking around at different companies to start out with possibly when I graduate and CCC Transportation is one of them. So I was wondering if there was any information and tips you could give me about the company, the hiring process, orientation overall, the trucks, what made you go with them, anything really would be a great help? Orientation is paid at $76 a day. The hotel is so-so and breakfast is provided there. They also provide lunch, dinner is on you. The first day is physical agility, road test and a DOT physical. They have all automatic transmission trucks. I'll be doing dry bulk tanker which is a big part of their operation. But they also do van and some flatbed in CCC. The nice part is that CCC is under Comcar Industries which has several different diviisions. CCC is mostly dry bulk and van. CT is flatbed. MCT is reefer and CTL is chemical tanker. After 6 months you can move to another division and your time goes with you. In CCC I'll be getting paid a percentage (20.9%) of the load rather than cpm. I initially was looking at a regional gig with them driving FL, AL, GA and the Carolina's out 5 and home 2 for the most part, but by the time I finished school I ended up with a local position home every night. No endorsements needed with CCC by the way. Let me know if you have any other questions about them. Good luck to you! Orientation complete as of yesterday afternoon. I am now officially a company driver in training with CCC Transportation! Day 3 in the books. Today was pretty much like yesterday. More video, more lecture and more written tests. We covered the Smith System today too. Had a visit from HR to go over our benefit package. Tomorrow payroll comes in to get direct deposit paperwork. We have more videos and 2 final tests. We'll also get our driver #'s and become official company drivers! We will then be going home for the wekend and report to our respective trainers/terminals Monday morning. It has been a long time coming, but it is finally here! Jacob, there are several companies that will hire new grads. There are even a few that have company sponsored schools. They are all listed on this site. Plenty of jobs available for Class A drivers providing you have no major/recent driving or criminal history. Day 2 done. It consisted of a fun filled day of company policies and written tests on them along with some very dated videos. Looking like tomorrow will be more of the same. So far I've been impressed with everyone I've met with the company. And today was no exception. My primary care Dr said he couldn't help me out on the sleep apnea deal so I figured I was pretty much SOL. Went back to the compliance folks and told them what was going on. They said they talk with the VP of Safety and get back with me. This afternoon they told me that I would be getting a 3 month medical card, but that I had to get the statement from the Dr within that time period. So, everything is good to go. They really did me good on this and I am very appreciative. 2 more days orientation and I move on to a trainer. Woo-hoo! Day 1 complete. It consisted of redoing our application on paper, open book DOT test, physical agility test, road test, DOT physical and some other misc paperwork. Agility test was no big deal. The road test wasn't bad at all. It was my first time driving a big rig with an automatic transmission though. Now the DOT physical was once again a pain in the tookus for me. My first physical I didn't know I needed a CPAP compliance report so my card was delayed until I got one, no big deal. This time I was prepared! I made sure to get an updated report last Friday. My paperwork from CCC said to make sure I brought one so I figured I was set for this one. WRONG! This place not only wanted the report, but they also wanted a statement from the Dr saying my apnea was under control from the CPAP treatment. Geez! My Dr won't send the statement without seeing me and they can't see me until June 4th. Going to see if my primary care Dr can help me out before I leave Thursday. The compliance folks are going to let me stay and do everything else and all will be good if I can get it before the end of the week. Can't wait to what tomorrow brings.